This week, the Freeland Learning Center is highlighting Ms. Deb Short, bus driver and paraprofessional. Deb has worked in the Freeland Community School District for 12 years. In her dual role as a bus driver (district) and paraprofessional (Learning Center), she has the unique opportunity to interact with students in a variety of settings, including the playground, cafeteria, classroom, and the bus. One of the things that makes Deb such an asset is her ability to establish and maintain relationships with students, and you can’t help but notice the mutual respect that exists between them. As a bus driver, Deb makes strong connections with her students as she will oftentimes be their driver for several years, if not the majority of their time in Freeland Schools. In addition, Deb possesses a passion for working with children and helping them become the best people they can be. She has high expectations for all the students she works with, and at the same time she does a phenomenal job of having fun! 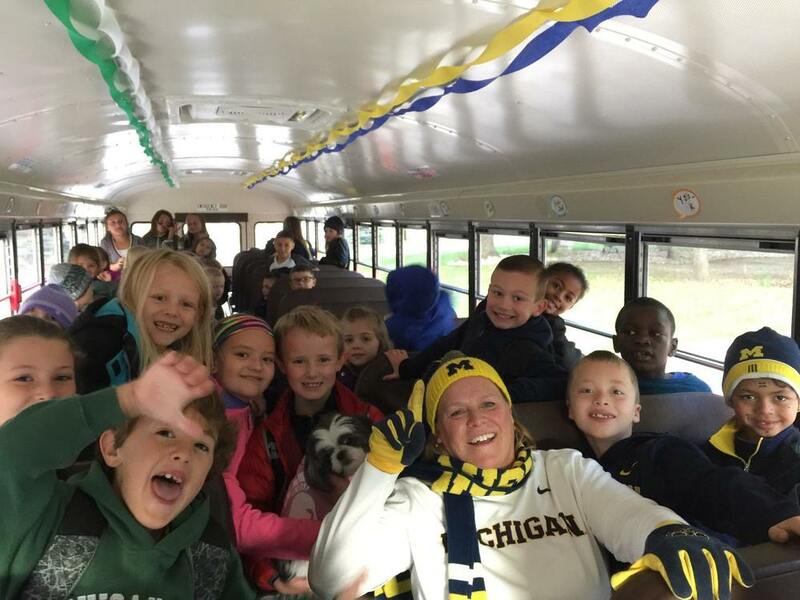 You can always count on Deb for a great Halloween costume or fueling the rivalry between U of M and MSU by decorating her bus to create the Great Divide! When asked what she finds most rewarding about her position, Deb said, “I love watching the kids take a learning experience, or a conversation we’ve had, and pass it onto another student. Being polite, respectful, and using your manners go a long way in my book!” Deb also shared, “What I enjoy the most about working for the district is being able to be myself. I believe in working hard, but also having fun doing it!” Thank you Ms. Short for all you do for the Learning Center and the Freeland Community School District!